Notes: 1863 - 1963. The first school in District #6 was built on Charles Harker’s land in Section 1 in 1863. 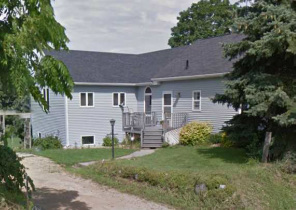 Built on the NW¼ of the SW¼ it was last of the early school houses built in Primrose Township. Eliza Milam was the first teacher. In 1885 the District Board decided to build a new school house. 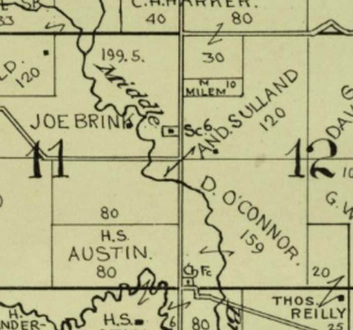 Land for the new school was purchased from the Colby farm located on the SE¼ of the NE¼ in Section 11. The old log school was sold and the land deeded back to Charles Harker. Libbie O'Connor was its first teacher. 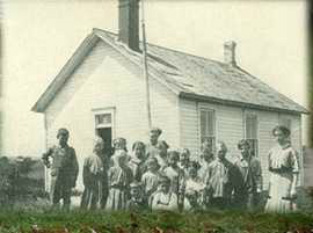 In 1933 an addition was added on to the back of the school to accommodate more children. Harker School closed at the end of the 1962-63 school year.